Good leaders make businesses stronger, more creative and more productive. But some leaders carry a heavy emotional burden that limits their potential. That may be from their professional lives or their personal lives. Unfortunately the fear of judgement and sense of responsibility for guiding others means that leaders often suffer in silence. Opening up emotionally just doesn’t fit with the archetypal (and inaccurate) vision of a strong leader. That can lead to feelings of isolation, anxiety and a lot of stress. And if your leaders are doing just fine as they are? That’s great. But remember there is always room for development. Every leader can benefit from learning how to integrate more perspectives with more speed and more impact. 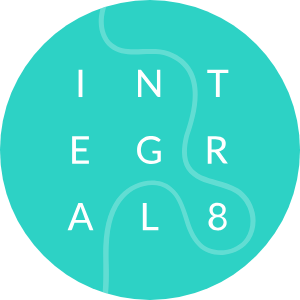 Integral coaching is all about helping your leaders become more aware of the way they think, feel and take action. We can use integral theory to see both personal and professional challenges from new angles - and foster the flexible mindset required to navigate markets, devise strategy, build relationships and develop talent. Consider the impact that could have on your business - both day-to-day and long-term. Integral leaders are unburdened from emotional challenges that once held them back. They have more energy, more focus and are able to share their evolution with everyone else in the workplace. It’s a domino effect - setting the tone for the wellbeing and performance of all your people.